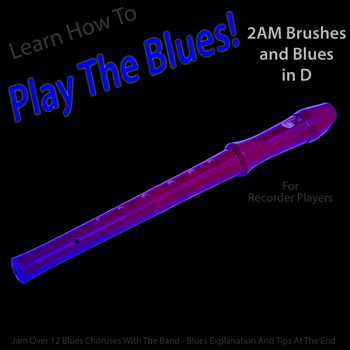 We are dedicated to help you learn the blues. Stop back to see our newest releases. Over a short amount of time you'll be able to hear the chord changes. 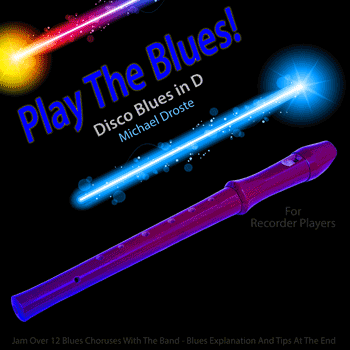 You'll quickly feel the 5 chord at the end of the 12 bar blues. That 5 chord leads to the 4 chord then the 1 chord with the turn around to start it over again! The 'Magic Notes' in every liner notes are a place to start playing the blues. Repeat the notes, creating a complimentary or contrasted rhythm and start having fun. Playing notes 'outside' the progression can sound very cool and create a lot of tension. We are giving away our first recording for all instruments away for FREE! Tell all your band and rock friends. “Down Home Southern Blues” is a fun song to play along with. Most musicians know the chord changes, so you can learn to play live with jazz, rock or blues bands. Each Blues song has a total of 12 choruses. Soloing Soloing is a very free, fun way to express your feelings and emotions. It is simply one of the best parts of playing your instrument. Before I give you my ideas, I want you to play around an experiment. Play with the track, then on the second chorus, play whatever you want! Play sharp notes, flat notes, listen to what sounds good or bad. Simply play around an experiment. It would be best to improvise and experiment for a couple of days to a week! OK, (one week later) here are some helpful hints for a more sophisticated solo. (1) Leave Space - Don't play the whole 12 bars, give the listener a break. Try inserting rests, and playing long notes at the end of phrases. It will allow, the listener to digest your previous phrase. (2) Repeat Notes - Take some notes and repeat them in an interesting rhythmic pattern. Use the 'Magic Notes' in a simple repeated pattern, with slight rhythmic variations. Also notice the space left at the end of every four bars. Anyone can learn how to play the blues with the information found on this educational and innovative site! At www.playtheblues.com, you will find a variety of audio tracks, including jazz, rock, and blues bands with which to play along. No matter which instrument you prefer, www.playtheblues.com offers pro blues band backing tracks for guitar, bass, piano, drums, saxophone, tuba, flute, oboe, recorder, trombone, trumpet and various other instruments. 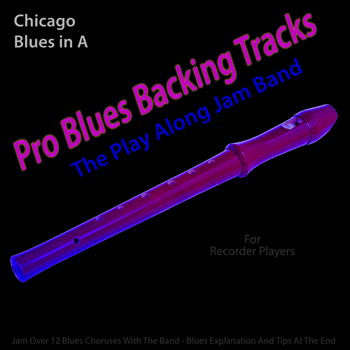 These pro mp3 backing tracks offer a highly unique and effective way in which to learn to play the blues, one of America’s most influential music genres. The term “blues” has two generally accepted theories of origin. Some historians assert that the name may have come from the term "blue devils," indicating a feeling of melancholy or sadness, which was surely present in the lives of African-American slaves in the United States at the time of the genre’s origin. This would account for the fact that when one “sings the blues,” he/she is most often expressing heavy feelings of sadness and mourning. Alternatively, another theory for the origin of the "blues" name is that it is derived from the practice of many West African cultures of using blue indigo to dye the garments of a mourner, in order to indicate the person’s suffering and anguish. Whatever the origin of the name, the genre is certainly known for its mournful lyrics and haunting instrumental sounds. With World War II came a progression from acoustic to electric blues, which helped to broaden the audience to white listeners, among others. By the 1960s and 1970s, a sort of hybrid form of blues called blues-rock had evolved. It is clear to see that many of the forms of music that are popular today – including modern country and rock-and-roll -- can trace their roots back to the blues. 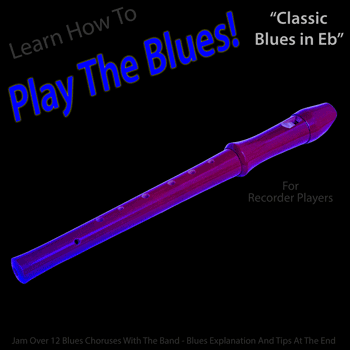 Today, the genre is distinguishable by its chord progressions, the most common of which is the twelve-bar blues. Blues also possesses other genre characteristics, however, such as instruments, lyrics, and bass lines. If you are interested in learning to play this influential genre of music, www.playtheblues.com is the best resource available! In no time at all, you’ll be able to recognize chord changes and play songs, whether you are interested in blues piano, blues guitar, or any of a variety of instrument tracks offered on the site. These are some of the highest quality professional backing tracks available for learning to play blues music. In fact, because the sites creators are so confident in the quality of their tracks, they are giving away the first recording of all instruments for FREE! At www.playtheblues.com, you can discover pro blues backing tracks that feature blues chords to help you learn how to play the blues in no time! They even offer YouTube tutorials and other great resources to help further your learning experience. Visitors to the site are able to browse through a selection of instrumental tracks, each of which links to a page full of helpful and easy-to-understand guidelines that will aid you in learning to play one of the greatest genres of music available. So, what are you waiting for?! Download the Free Track, and begin learning to play the blues for yourself!